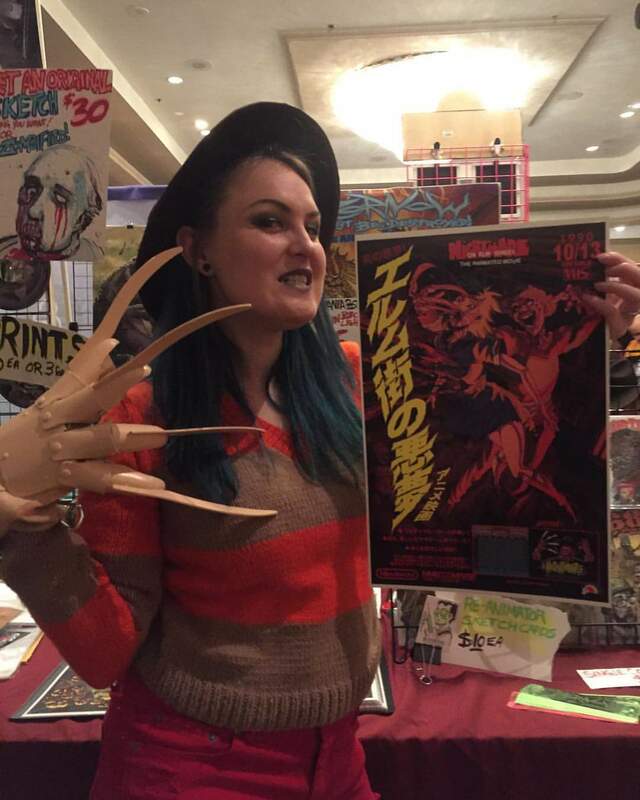 That’s a wrap on another great MONSTER-MANIA CON in New Jersey, the HORROR FILM CONVENTION that was created By the Fans, FOR the fans! 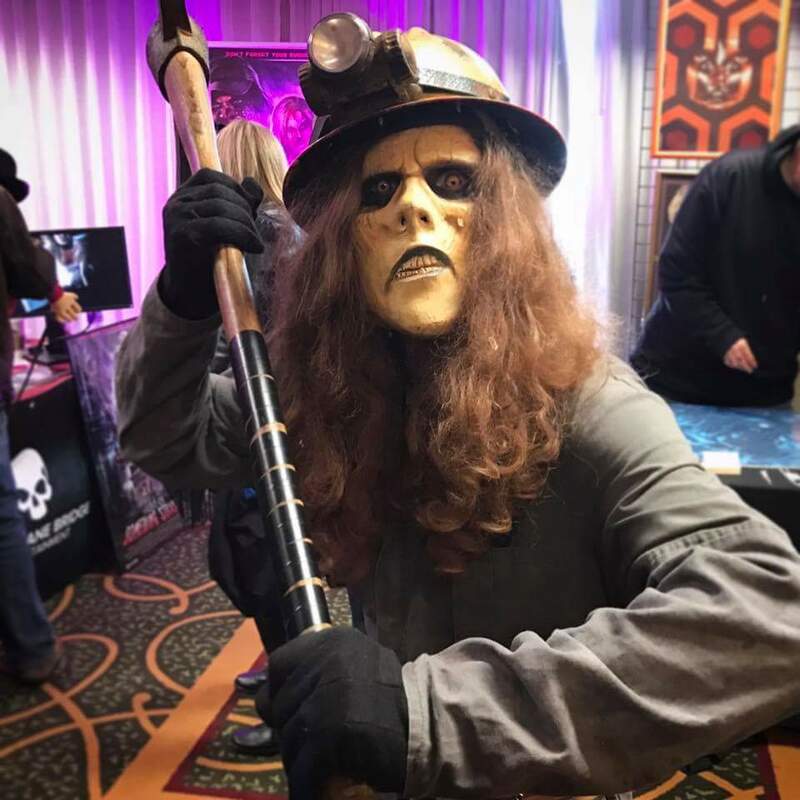 Last weekend, sights of Slashers, Killer Clowns, Walkers, and other assorted groovy ghoulies took over the Crowne Plaza Hotel in Cherry Hill New Jersey for the 36th Edition of Monster-Mania Convention. The Philadelphia Semi-annual horror convention, Monster-Mania, returned with a lineup that had fans packed to the rafters on Saturday. It was so packed that the fire marshall had to come to insure everyone’s safety. People were waiting outside the hotel just to gain entrance into the show. Even Brian Quinn, aka Q from Tru TV’s smash hit Impractical Jokers, showed up on Sunday to check out the festivities. Once again, the vendors did not disappoint. Con favorites, including Ian’s Pumpkin Carvings, London 1888, Fright-Rags and Little Punk People, always had a crowd of people waiting to purchase goods from them. 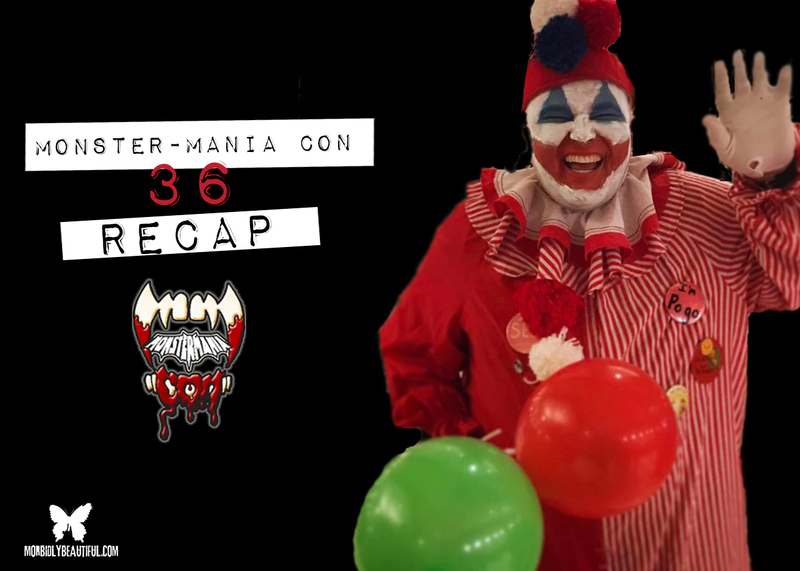 I did notice there didn’t seem to be as many vendors as previous shows, and some of the usual suspects decided to sit this Monster-Mania Con out. John Cusack was the show’s headliner, making his first East Coast con appearance. People showed up in droves to meet the 80’s icon. Those looking to meet Cusack had to fork over $160 for an autograph and picture combo. 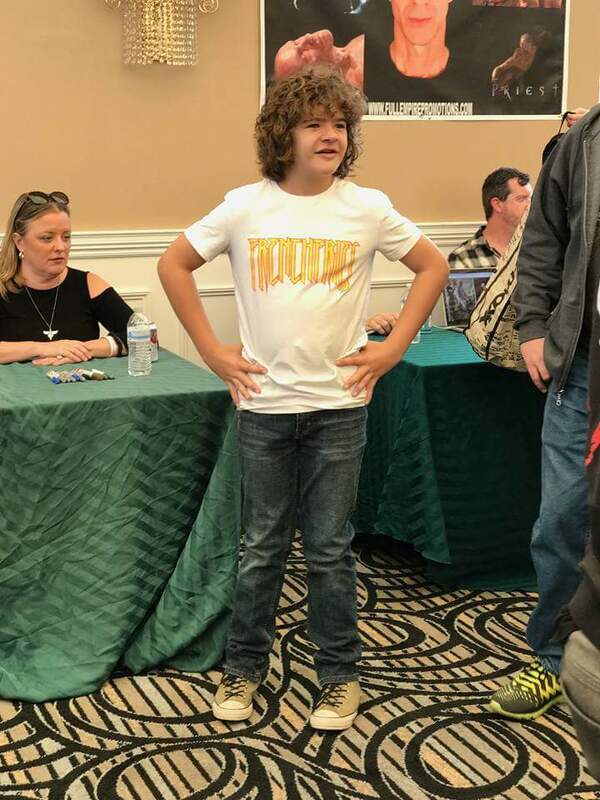 Gaten Matarazzo, who is best known as the fan favorite Dustin on Netflix’s runaway smash hit Stranger Things, also commanded long lines as fans of all ages were eager to meet the NJ native. Gaten’s co-stars Caleb McLaughlin and Mark Steiger (Lucas and The Demogorgan) were also on hand to meet rabid fans of the show. One thing of interest, for whatever reason, they were only allowed to personalize the Funko Pop figures. No clear reason was given, but one must assume to stop the flippers from reselling them on Ebay. 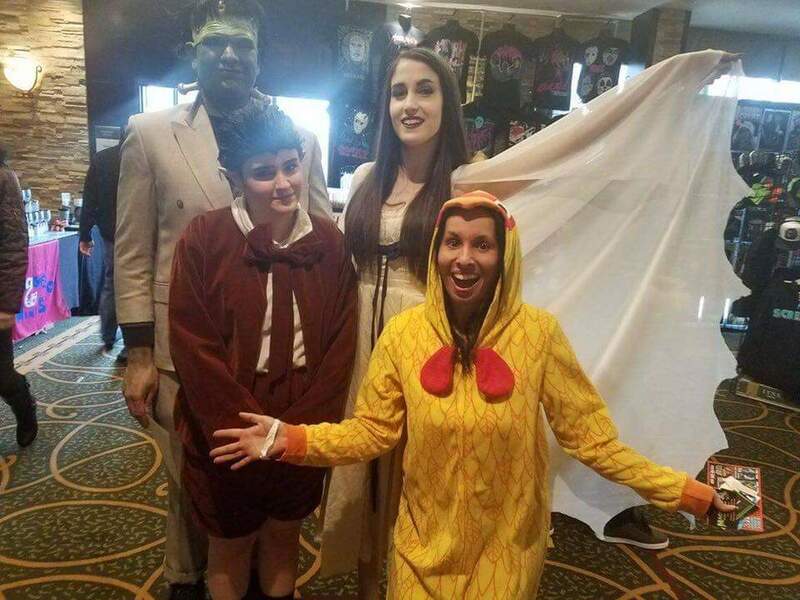 Bex-Taylor Klaus from MTV’s Scream series and Ashley Bell from The Last Exorcism films both made their convention debuts, and they were extremely popular and friendly with fans. Kristy Swanson was also there, and she genuinely seemed to love interacting with the fans. She even had a vampire stake for pictures with people. 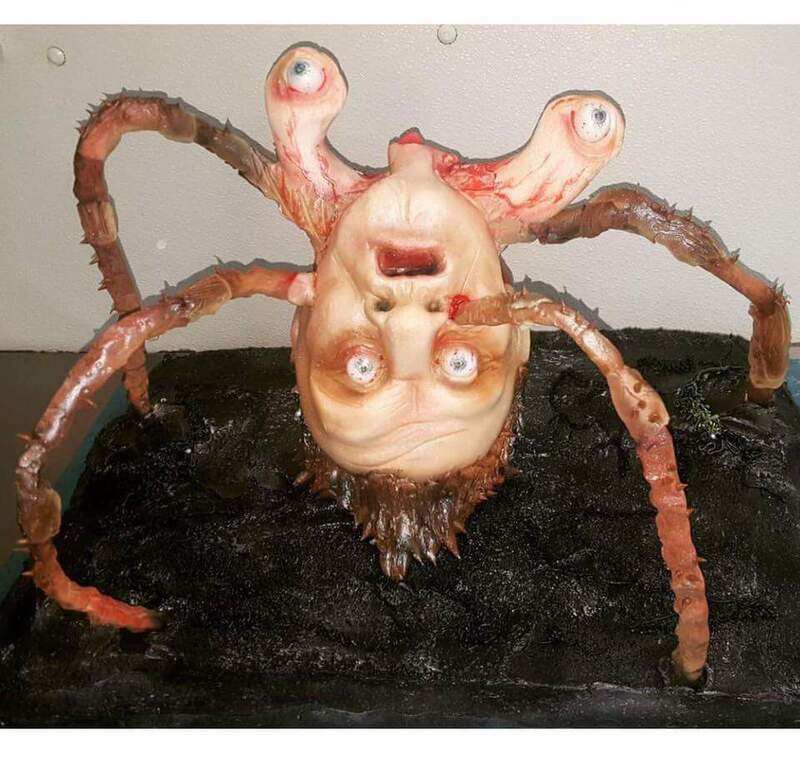 Wilford Brimley also made his con debut and led a mini reunion of John Carpenter’s other masterpiece, The Thing. Speaking of John Carpenter…Nick Castle was in the house, as fans crowded for a chance to meet the original Michael Myers. Castle was extremely friendly and even said how much he loved my Terror Threads Laurie Strode t-shirt. He also let me take multiple pictures with him, and we discussed some of the films he’s directed. If he is announced for a con near you, go out of your way to meet him! Of course, Jason Voorhees can’t let The Shape upstage him, so 3 actors who donned the iconic hockey mask were on hand to represent Pamela Voorhees’ special boy in his home state. 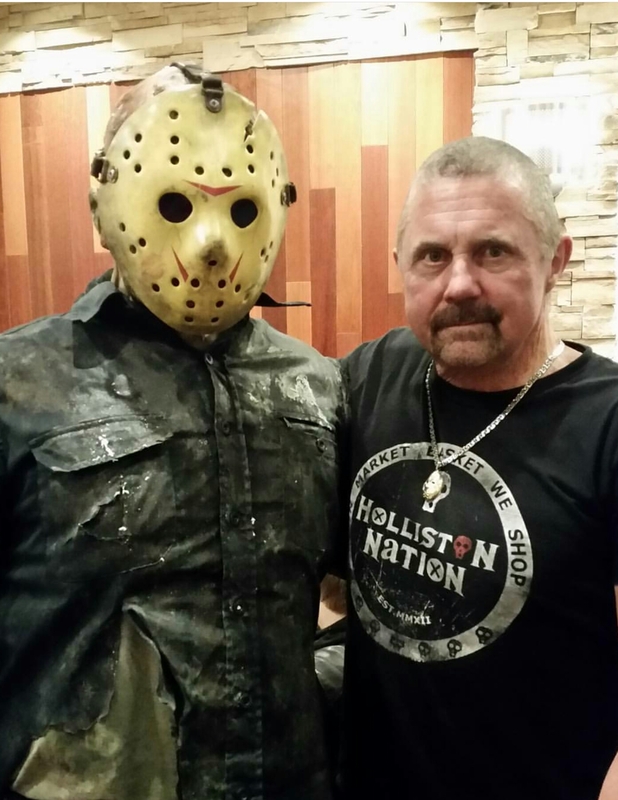 CJ Graham, Kane Hodder, and Ted White were signing autographs and taking pictures with the Crystal Lake faithful, and all were extremely fan friendly. Again, I can’t stress enough to go out and meet these guys if they are appearing at a con near you. Graham even had a special photo op in full Jason Voorhees gear from the 6th film Jason Lives. Doug Bradley, who has portrayed the iconic Pinhead from the Hellraiser series, had a huge line. People waited for hours to meet the English actor. 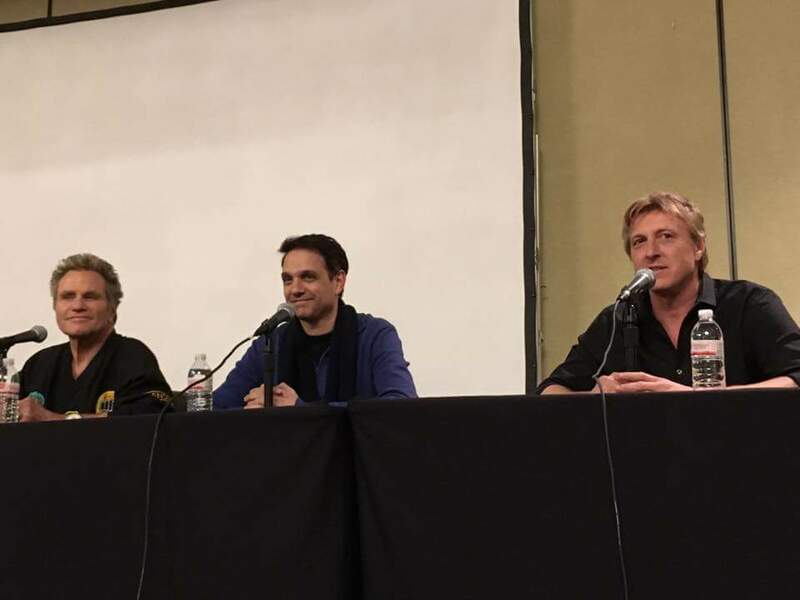 Even more 80’s nostalgia was in the air as Ralph Macchio, Martin Kove and the awesome William Zabka got together for a special Karate Kid reunion. Fans lined up for hours to meet the trio. And, thanks to Neil Patrick Harris, there was definitely a debate as to who was the real Karate Kid, Daniel or Johnny. Q&As, film screenings, a Save the Yorkie Charity Auction with director Adam Green and a special screening of the cult midnight classic, The Rocky Horror Picture Show, capped off another crazy, jam-packed weekend in Cherry Hill. My next convention review will be for New Jersey Horror Con, a new show taking place in the Garden State that features Matthew Lillard, A Frankenhooker Reunion, Lloyd Kaufman, Tiffany Shepis, Felissa Rose and a special Saturday night performance from legendary cult filmmaker John Waters.